I just wanted to show off a few of my favorite Christmas gifts. *I don’t have a picture of this. Maybe it’s because I keep forgetting to take one and I don’t want to wait any longer on this post. Maybe it’s because I hid it from my stepsons, and now I can’t remember where I put it. Maybe it’s because I already ate it. Because every pregnant woman needs a candy bar the length of her arm. This prevents her from actually eating her arm…or someone else’s arm. My friend Princess made this for me. Awwww…. 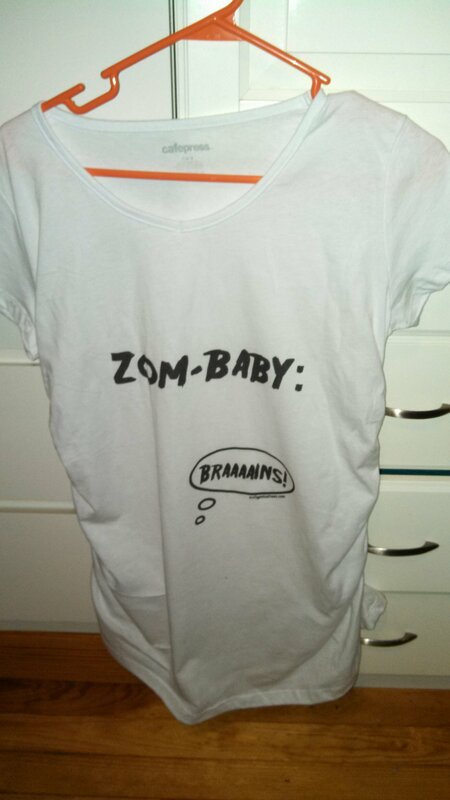 Because we all know how much I love zombie babies. Thank you, Misty! What were some of your favorite Christmas gifts that you gave or received? It’s my birthday month! That’s right. Birthday month. To kickoff my birthday month, I met Misty for key lime pie martinis dinner. And she gave me gifts. Because that’s what she does. She’s a giver. 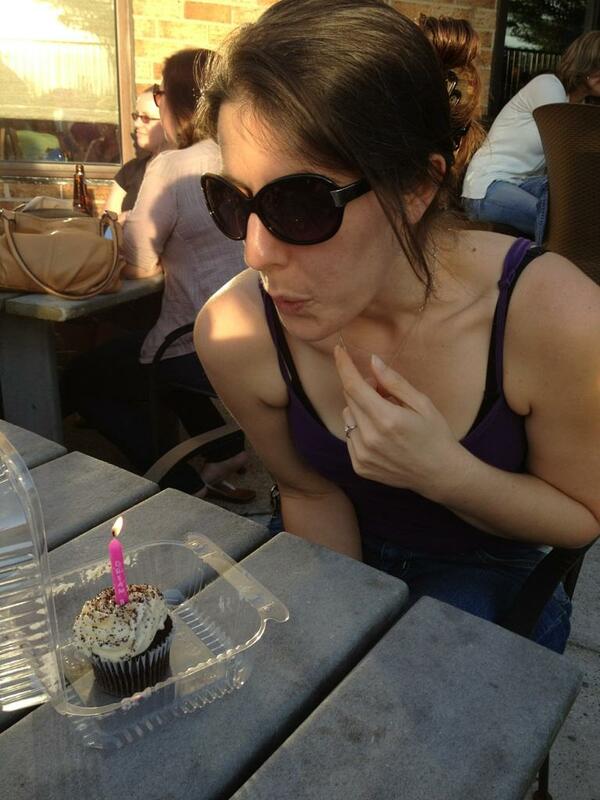 She gave me this birthday cupcake! You know I “accidentally” spit all over this, so Misty wouldn’t want a bite. Because she’s a giver, she also gave me the Trifecta: Smores-Flavored Vodka, Pop-Tarts, and Oreos. You know who is the opposite of Misty? Esme Kitty. Esme is a taker. Esme took my marshmallows. 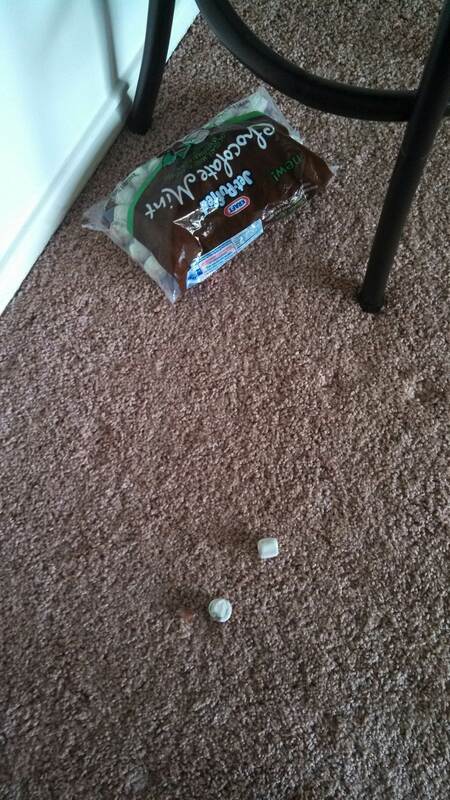 Not only did she take my mallows, she didn’t even close the bag. 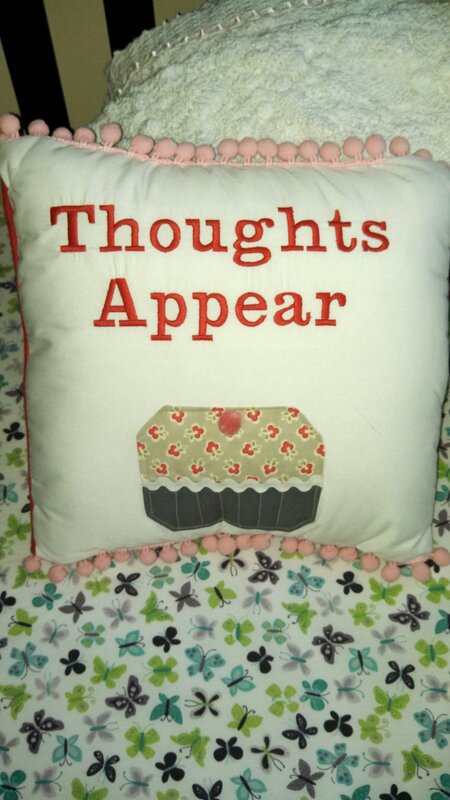 Whenever I see other bloggers, we tend to exchange gifts. Usually people give me Pop-Tarts, and I give…booze. And I don’t do the classy thing and give a nice bottle of wine, I give flavored liquor…in tiny bottles…to carry in your purse and whip out in an emergency. Why? Because you never know when you’ll need a shot of vodka…to sterilize a zombie bite. Obviously. 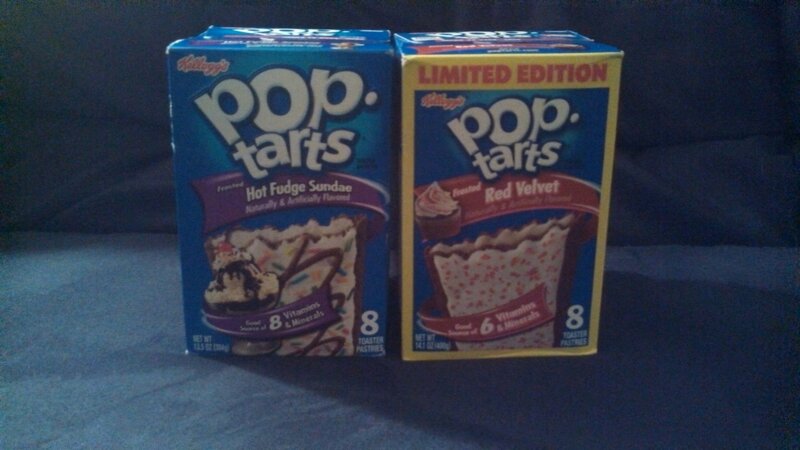 Anyways…last weekend was all about Pop-Tarts and Gifts for Me. 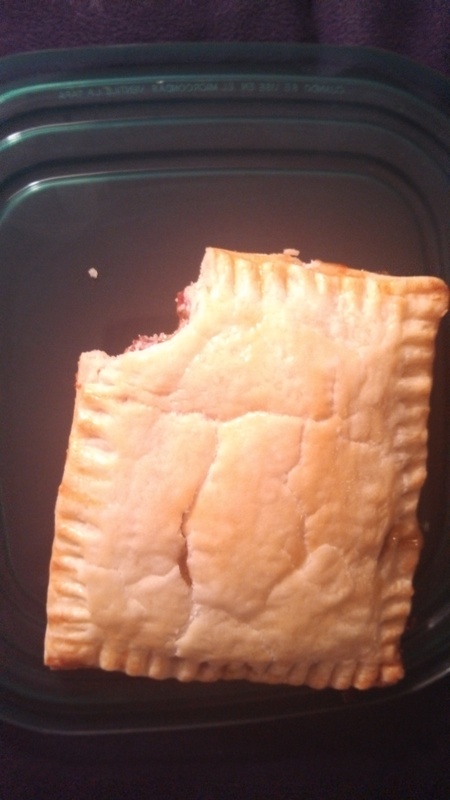 Misty made me homemade Fig and Bacon Pop-Tarts. Confession #1: I don’t really like bacon. GASP! There are only 2 exceptions. The first is the bacon that’s crumbled up on salads that’s covered in so much brown-sugary-maple goodness that all you taste is sugar. That’s right, Misty. 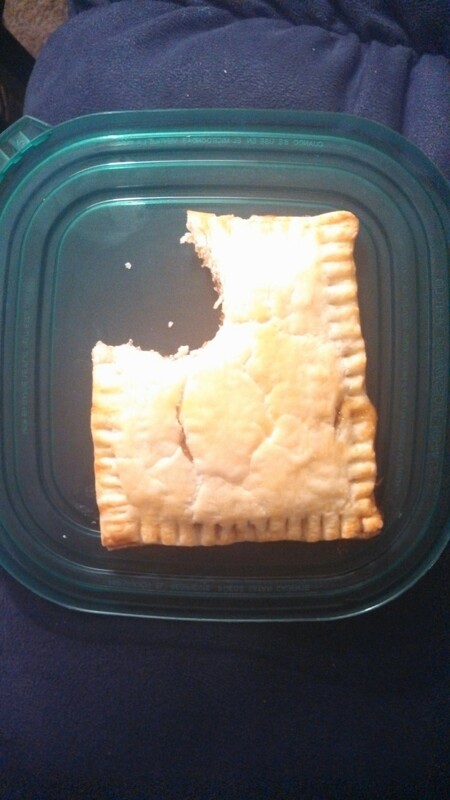 Your Pop-Tart was yummy. I mean that in a undirty, uncreepy way. The Hipster and I also had the 3 Cs this weekend: crab, chocolate, and ice cream. Life is good. 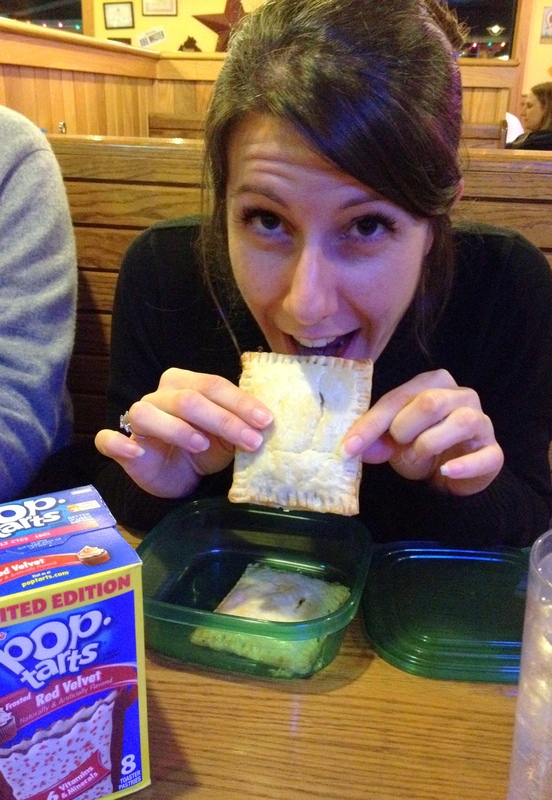 Damn, it feels good to be a gangsta Pop-Tartsta.